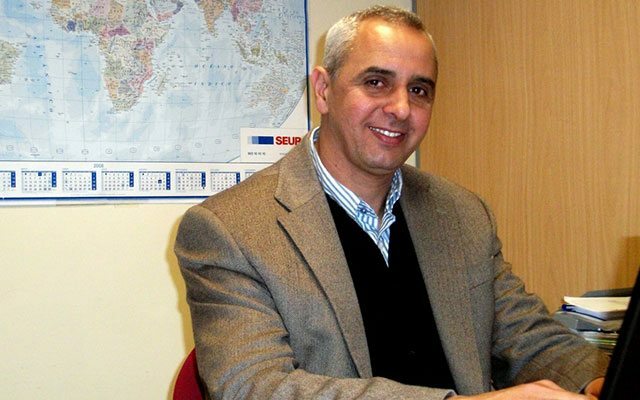 After the fair, we interviewed Jalil Azdem, Inmesol Middle East and Asia Area Manager. 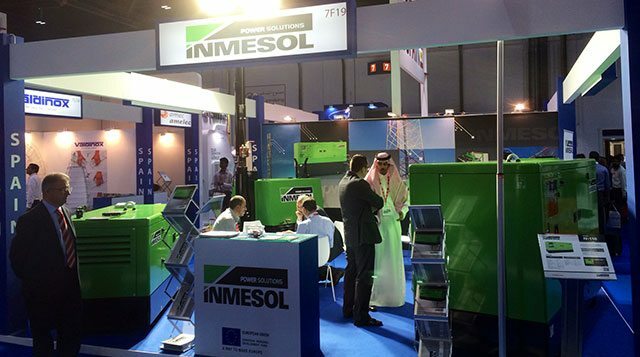 For the third consecutive year Inmesol has participated as an exhibitor at Middle East Electricity. What is your general impression of the 2014 event? The Fair is without a doubt a crucial meeting point between Europeans, Middle Eastern Arabs, Africans and Asians in the sector. 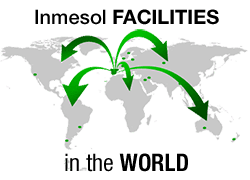 For Inmesol it is important to participate as an exhibiting company and to have contact with these markets, in which we have many clients. 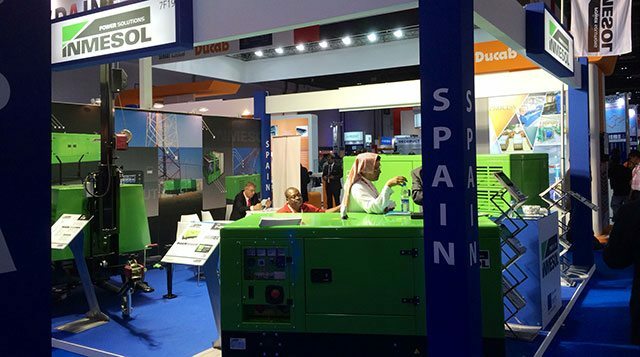 Moreover, it is an ideal event to open business opportunities, to share information and technological advances, as well as data on market growth in the electricity sector in general and in generator sets in particular. What aspect would you like to highlight from Inmesol’s participation in the fair? This year the hybrid set which we presented last year has continued to have significant repercussions. 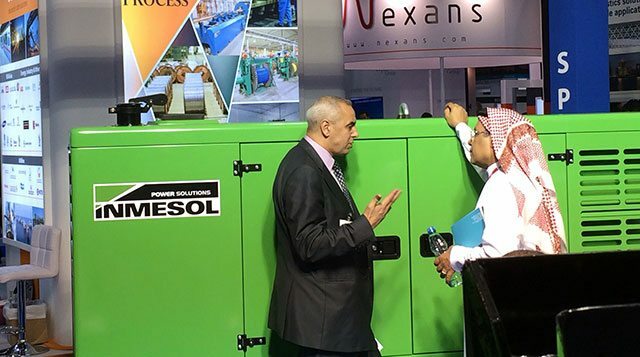 It is a fairly unusual product whose function arouses great interest, so we have dedicated a large part of our presence at the fair to explaining the characteristics and applications of this generator set, specifically designed for telecommunications facilities. It has been a great commercial opportunity, which is satisfying as we are a very dynamic Spanish company, exporting quality and innovation to very demanding countries. Which new products have Inmesol presented? 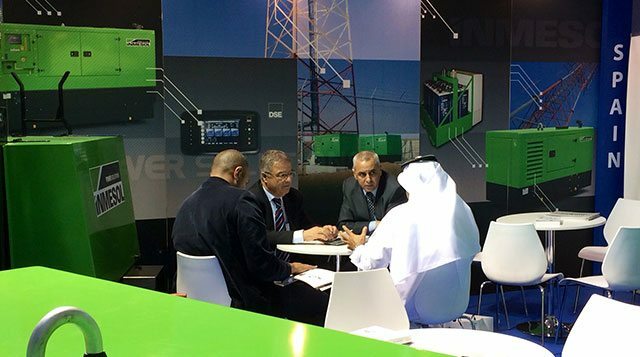 We have presented three new products: a 20 kVA silent generator set with a Perkins engine and manual control panel; a 100 kVA set, which is also silent, with a Volvo engine and a switchless automatic control panel; and an 8 kVA lighting tower. 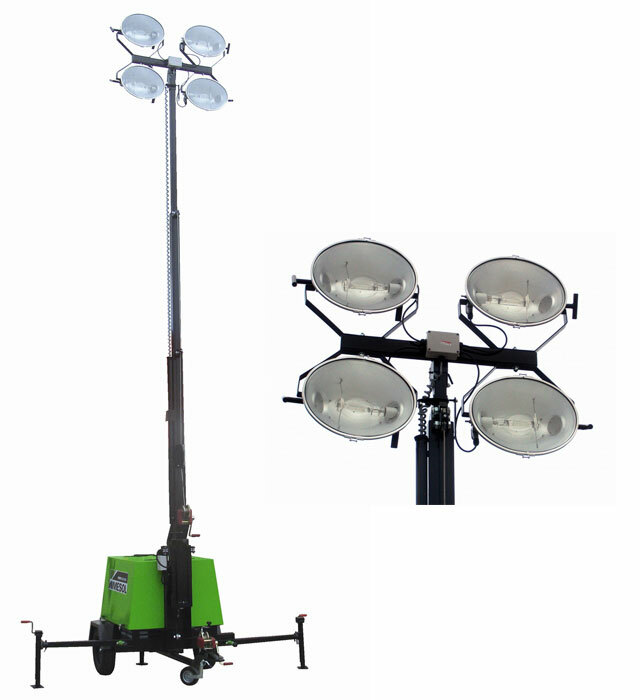 Images of one of the products presented in Dubai: the new 8 kVA lighting tower developed by Inmesol and a detail of the spotlights. The Middle East Electricity always takes place in Dubai. 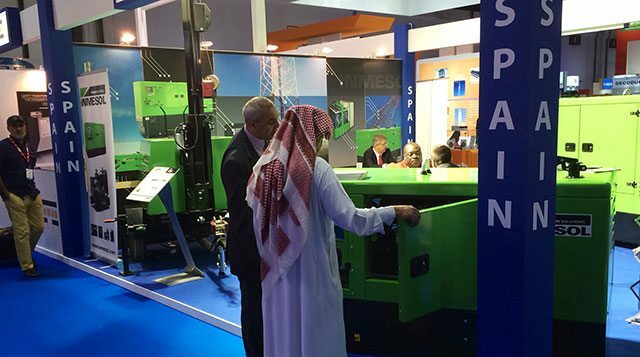 It is considered the most important fair for the energy sector in the Middle East. 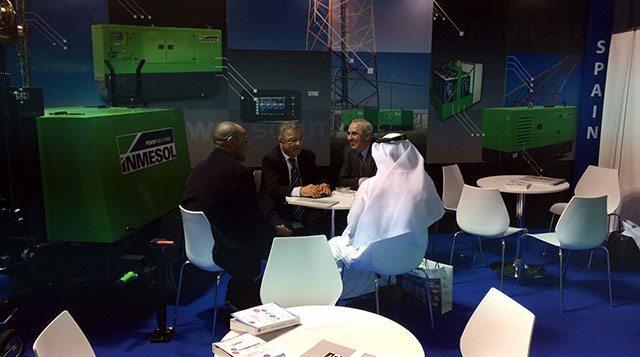 The 2014 edition was held from 11th to 13th February and attendance exceeded the previous 39 editions. The next event will take place from 2nd to 4th March 2015.